After a successful 40-year career in sales, Hank McCrorie (a Charlotte, North Carolina native) and wife Bernice (raised in Sonoma County, California) decided to build a retirement home in Napa Valley. 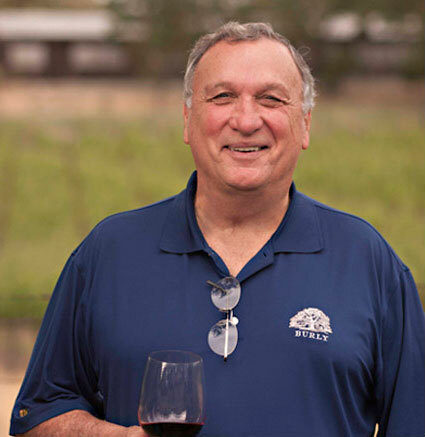 While working in New York City, Hank developed a passion for elegant small production Napa Valley Cabernets, which subsequently created the desire to produce an outstanding wine himself. Thus begins our journey with a singular vision intact. Shortly following, the opportunity presented itself to lease a vineyard of 9 ½ acres of Cabernet Sauvignon from the Simpkins’ Ranch in the Coombsville AVA. Seizing the moment, Hank and Bernice set upon hand-crafting their signature offering at a small boutique winery where they were introduced to 4th generation winemaker, Massimo Monticelli, and renowned vineyard manager, Michael Wolf, whose collective mastery of the craft helped bring BURLY to life in 2004.